Come learn how to make this glittery vinyl zipper bag! 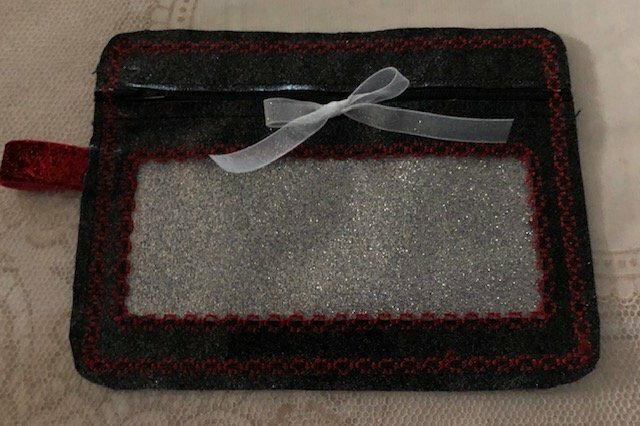 This bag is done with Glitter Mirror Canvas and HTV and has a clear pocket window. If you need the glitter mirror canvas the teacher will have it for an additional $ 5.00 fee payable to her. This project is done in the following hoop sizes: 5" x 7" and 6" x 10"